Having trouble with your industrial hoses in Wilmington CA? Don’t waste your valuable time letting your machinery sit idle one moment longer than it has to. 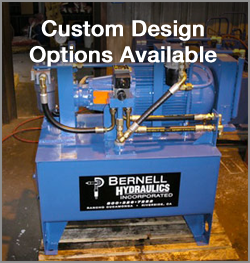 Instead, call Bernell Hydraulics for a new part or onsite assistance. We’ll make sure you get the best possible replacement product from our inventory of high-quality hydraulic parts from name brands like Parker and Lion. We stock a wide variety of hoses, and we can access even more through factory orders and custom hose assembly manufacturing. If you’re not satisfied with your current hoses, be sure to let us know before you place your order so we can suggest alternatives. Industrial hoses are an extremely important part of any hydraulic system, but unfortunately hoses can wear out a lot faster than the metal parts that surround them. If you take care to choose the best possible industrial hoses in Wilmington CA that meet all the requirements of your unique system, you can make sure your hoses last as long as possible. During a hose analysis from a Bernell Hydraulics technician, you can get confirmation as to whether or not you’re using the right hoses. We’ll uncover any extra stressors or other factors that might be causing your hose problems and suggest a course of action. For example, we might discover that your hoses lack the proper temperature rating or pressure capacity. Or we might be able to improve the design of the hose assembly to require fewer twists and turns. Making do with generic hoses that aren’t specifically made for your equipment means that you have to mess with cutting and crimping the hoses and adding the necessary thread configurations. But if you invest in custom industrial hoses in Wilmington CA from Bernell Hydraulics, you can save yourself the time and trouble that these steps take. By allowing our expert machinists to make the necessary modifications to your hoses, you can rest assured that the end result will deliver great performance.